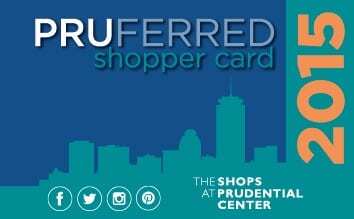 The 2015 Pruferred Shopper Card is here and it is a great card to get if you dine or shop at the Prudential Center in Boston! There’s also many discounts on retail stores, kiosks, and more that isn’t mentioned here. To find the complete list of participating stores and discounts, please head here.